The Gaylord Palms with its stunning Spanish Renaissance architecture, allows you to experience the historic old-world charm of St. Augustine, the island spirit of Key West and the mysterious waters of the Everglades in one extraordinary place, without ever leaving Central Florida. Set in the style and grandeur of a turn-of-the-century Florida mansion, Gaylord Palms offers four acres of themed experiences all under glass, while delivering a truly unique and exciting Florida experience. Parking: On-site is $15 a day. Valet is $22 a day. Check-in and Check-out: Check-in is 4 p.m., and check-out is Noon. For dining options at the hotel, click here. For airport/ travel information, click here. For shuttle information, click here. It has come to NABJ’s attention that a housing company named Exhibitors Housing Services (EHS) is claiming to have a relationship with NABJ and is offering discounted hotel rates for the 2013 NABJ Convention and Career Fair at the Gaylord Palms Resort and Convention Center. This company and others like it are not in any way affiliated with NABJ or the Gaylord Palms and should not be used to make hotel reservations. Please be aware, there is only one, official, exclusive housing block for NABJ at the Gaylord Palms Resort & Convention Center. Note: The Gaylord Palms Resort & Convention Center does not make phone calls to exhibitors or attendees, encouraging you to book with them. Our 2013 NABJ Convention and Career Fair room rate at the Gaylord Palms is $179 inclusive of resort package fee. If you have received any communication either via email or telephone, please delete it immediately and ignore any further requests. 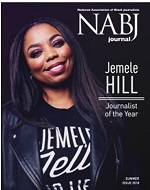 Please let NABJ know if you have any other questions or concerns. 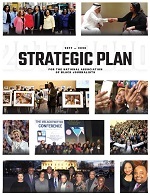 Thank you and we look forward to seeing you at the Gaylord Palms Resort & Convention Center for the 38th Annual NABJ Convention and Career Fair from July 31 – August 4, 2013.